As I sit and write my final blog post of the Camp Takajo 2018 season, I’m filled with mixed emotions. Throughout the day, I made a point of going up to a number of our boys who struggled at the beginning of the season for various reasons. The underlying theme was that these boys did not think they could make it to the end of the summer. They could not fathom the possibility of spending seven weeks apart from mom and dad. During their time of struggle, they created a host of reasons why camp was not right for them. Some would say that boys in their bunks were keeping them up late at night. Others would claim they were teased or didn’t like something about our program. One of my most challenging tasks as a camp director is to try to understand what is really troubling a child when they visit me in my office. I often use the analogy that it would be like going to a doctor and asking for treatment for your illness without describing any specific symptoms. I told the boys if they approach the doctor in this way with an earache, they will leave the doctor’s office with that earache. However, with the right course of action, such as a targeted antibiotic; within a few days, that child has forgotten all about his discomfort. The same holds true at camp. 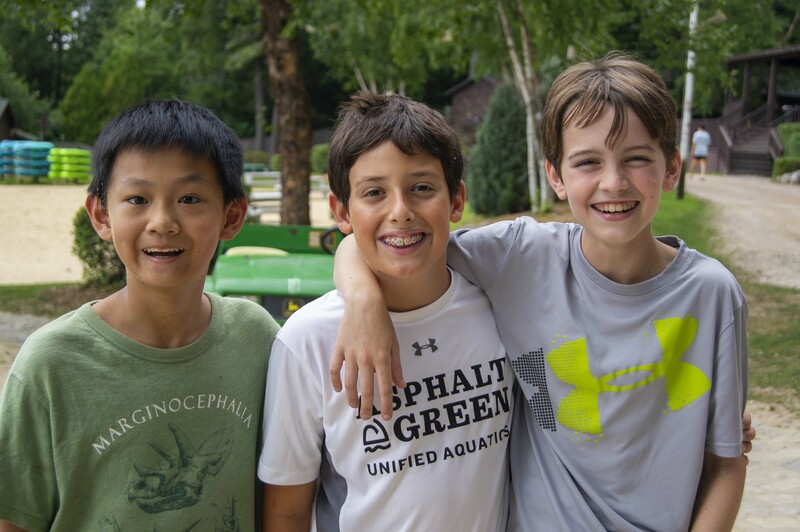 When a child allows camp to get into his bloodstream, he immerses himself in this community while participating in our structured program, thus allowing himself to connect socially with his peers innately. That boy will feel healthy, and his feelings of sadness will disappear. 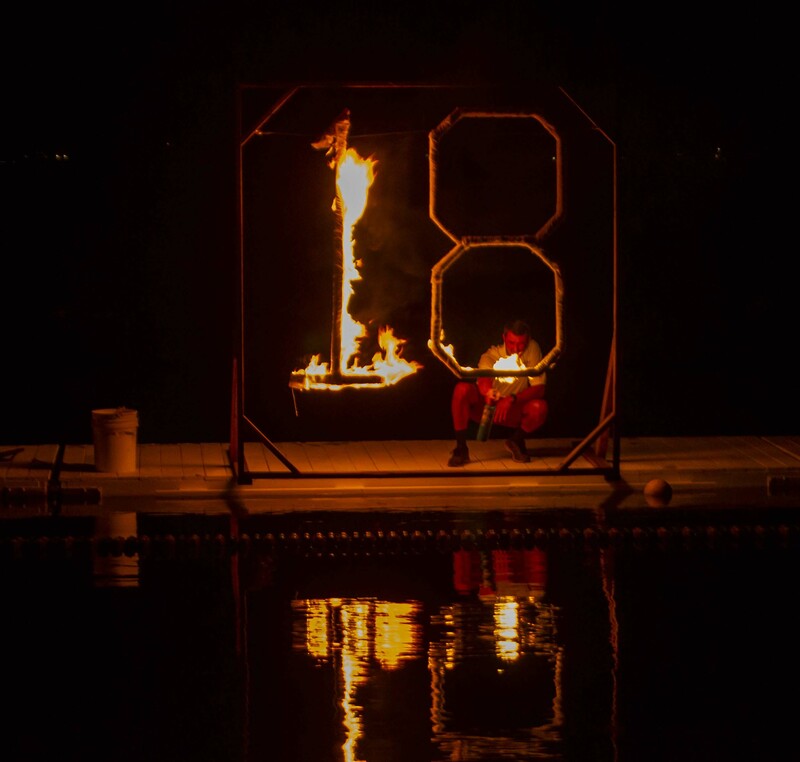 The respectful silence our campers held while watching the ’18 burn over Long Lake was deafening. I hugged many boys today and applauded their efforts. Learning how to work through those uncomfortable moments, developing self-reliance and perseverance are great skills to master at a young age. As you would imagine, today was a bit of a tedious day as we handled the critical task of packing, which is required before we end camp tomorrow morning. However, in the evening we came together for one final time in the Indian Council Fire Ring for what Warrior Group Leader Hank Fortin calls one final tribute to the Okees. The entire camp enjoyed a campfire with songs that our oldest boys sang when they first entered Takajo many years ago. As one would imagine, it was an emotional night for those who finally came to the realization that their camping days were coming to an end. 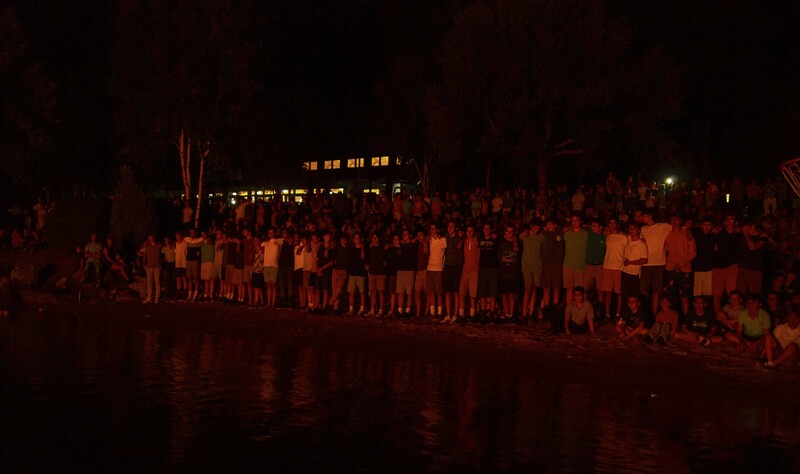 Our forty-eight Okees surrounded the campfire arm-in-arm and led us in our camp song. Many of our boys were overcome with emotion and could not get the words out, but the support of the entire camp community raised their spirits as they sang this meaningful song one last time. A few things to consider as you welcome your child back home. Your son is exhausted. For seven consecutive weeks, he was awakened at 7:45 AM and played hard until 9:15 PM. We are coming off the most humid summer Maine has ever experienced in recorded history, and our boys are looking forward to some well-deserved rest. As parents, we crave information, especially when we have been disconnected from our children. While your tendency will be to ask your son questions about his favorite activity, happiest moments and best friends, you might be surprised to receive one-word answers or very little information at all. I can assure you that this is not due to his lack of fun or enjoyment, but rather his state of mind at the end of a fun-filled summer. The stories and antidotes will come out over time. 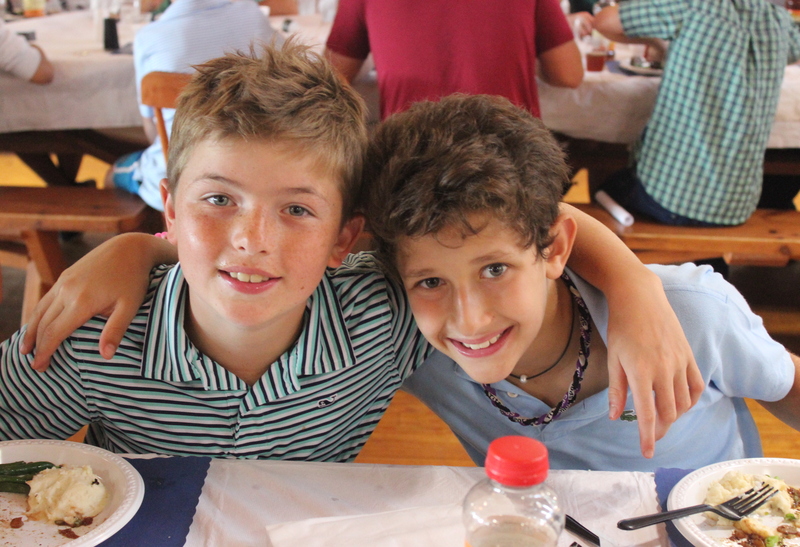 A song on the radio or something funny around the dinner table will remind your son of something that he enjoyed in camp. While my sons are at camp and I’ve had the luxury to see my daughters on a few brother-sister days, I too crave the moment that I can close the front door to my home and have that re-connection with the most important people in my life. Spending time with my children at the end of the summer is my happiest time of the year. It is that one last window of time before we jump on the school merry-go-round. There is no homework, no team practices and no commitments other than family. I hope that you enjoy this precious time with your child. On behalf of Warren and my entire staff, it has been our sincere privilege to spend our summer with your son. Please know that we consider you part of our family, and we remain available to you throughout the year and forever. Previous PostNew Year, New Website!